Investing in an authentic Oriental rug is like investing in a beautiful home. You must maintain it to preserve its beauty and value. Who will you trust in Rocklin and the extended Sacramento area for cleaning your Oriental and custom rugs? Precious wool, silk and traditional Oriental rugs are only treated in our customized facilities – never by an unknown subcontractor. Ownership of this family shop allows Artistic Associates to thoroughly and safely inspect dyes for fastness and fibers for material content before beginning a complete cleaning. This hand care insures that your rug returns to you in beautiful condition. The careful maintenance of Oriental rugs requires time-tested procedures. Artistic Associates uses an eight-step process for cleaning every custom-made rug. Our cumulative experience means we can successfully repair moths and beetle damage, water seepage, food stains and even pet urine. Artistic Associates also applies fiber protectants and creates underlayments to preserve your heirloom rug. 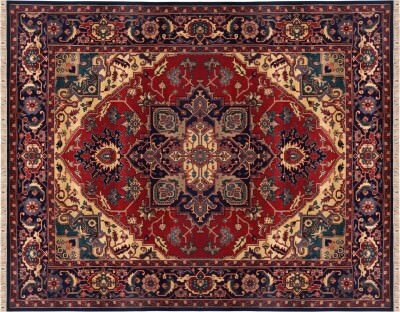 The authentic Oriental rug is a grave complication for ordinary carpet cleaners with minimal training. Natural dyes can bleed when wet. Hot water cleaning treatments, normally the best technique for wall to wall carpet cleaning, can quickly destroy natural fibers. If you do not want to replace your floor piece, you need a trained professional. Artistic Associates applies more than forty years of experience to restoring Oriental rugs to their original condition. Plus, we proudly display our full certification from the Institute for Inspection, Cleaning and Restorationas qualified Oriental rug experts. This training is essential if you want a rug that continues to look like new. Our practical procedures, certified technicians and secure custom facilities are the primary guarantee that your Oriental rugs will return in pristine condition. Artistic Associates is also fully insured and bonded for your peace of mind as our client. Select the Oriental rug cleaning service that Rocklin can trust! Our clients in Rocklin, California contact us at 916.483.7400.